There was a man that I talked to once and he told me that my work, being a plus size fashion designer, is actually a waste of space and time here on Earth. He thinks that the fashion industry is laughable and that fashion in itself is frivolous. Funny how this man, wearing a plaid shirt from American Eagle, Jeans from Old Navy and Jordan Rubber shoes would say that to me. Fashion is more than just keeping people warm (the basic function of it, of course). It also keeps the self-esteem hot too! 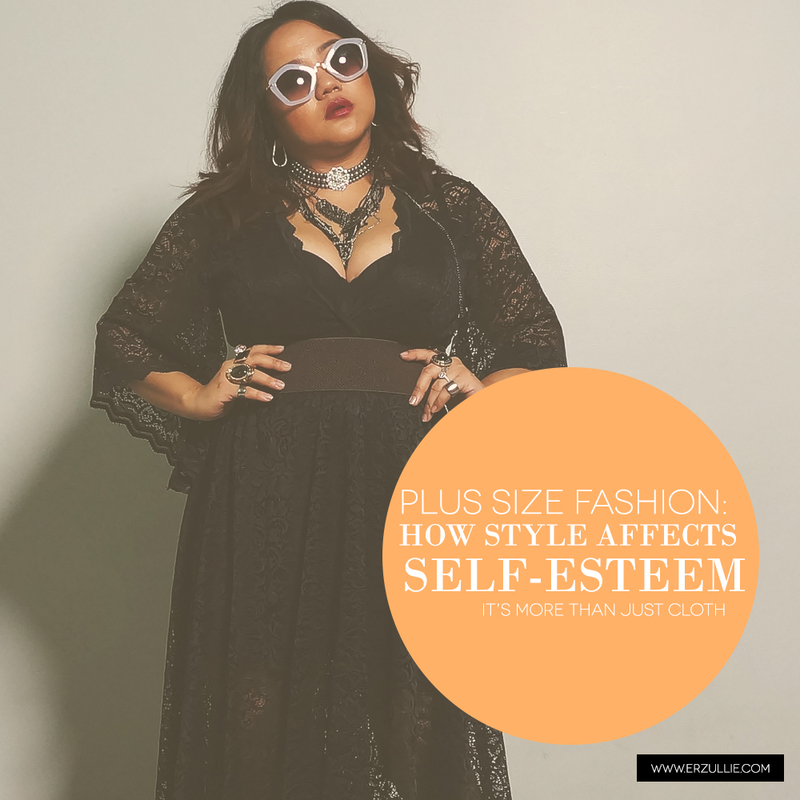 So how does style affect self-esteem? It is all about how what you wear makes you feel. In the case of this man who told me that my work is not important, all that American Eagle, Old Navy and Jordans makes him feel something --- good, bad or ironic. It doesn’t matter. Point is, style will affect the way you feel and therefore will affect the way that you are going to go about your day. Think about it. There were moments wherein you were so happy, no amount of negativity in the world can touch it. Same with the other route. To some, the effects can be fleeting, to some lasting. Whatever it may be, style can help you with your self-esteem. And with that in mind, we highly recommend that you go and try dressing up the way you want to feel. Want to feel like a boss? Power up with a suit. Want to feel like a goddess? A nice, long, maxi dress is in order. Want to feel fierce in your curves? AHEM --- ERZULLIE. Haha. Go ahead, Erzulliesta. Tell the world how you want to feel today. Control your style and you get to control your feelings. Try it.